A lifelong diagnosis … I can do this. This is not terminal, this is just a new way of life – one that doesn’t require medication and the side effects you sometimes have to deal with from that. Rather than a life sentence, it’s a new lifestyle. I know which of those two I would prefer. This has been coming for a while, and in that time I watched my mum battle cancer. That probably made me a little paranoid too and I would be lying if I didn’t say that at some points, the weird stuff going on in my body didn’t freak me out a little, and make me jump to some really dumb scary conclusions (which is why I don’t have the letters MD after my name!). And hence the relief at this diagnosis. Last month I was diagnosed with Celiac Disease. Long story short, Celiac is an autoimmune disorder. My body can’t handle gluten – so when gluten gets in, my body attacks itself (stupid aye?!) creating antibodies which damage the lining of my small bowel. Oh I never said it was glamorous! That damage means I can’t absorb minerals, vitamins and other nutrients from food. As well as some other ugly side effects but we won’t go into those. The great news is, that the existing damage can be reversed. 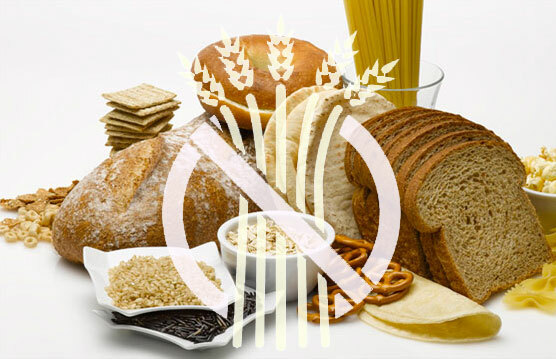 By removing gluten from my diet completely my body can heal and will then act as it should. Yay! So that means no gluten for Abbie for the rest … of … my … life (long may it be!). The obvious stuff is easy to avoid: wheat, barley, oats, rye. Flour. Pasta. Bread. When I say easy to avoid I mean that it’s obvious it’s there. It’s taking a little longer to get used to the hidden gluten – like in (some brands of) tomato sauce, potato chips, stocks and seasoning. Given that it’s a life journey though, I’m taking it one day at a time. I think the biggest thing I’ve learnt is that I really need to look after myself. This is with me for the long haul so I can’t get lazy or complacent. As a mama of four I am also learning to put my needs first. My family and I are all having to learn about this. Because let’s face it, food is pretty essential to living. As much as I want to down-play it, because I don’t want ‘celiac’ to define me, I’ll write more about my Celiac journey. It is a big deal in this learning stage. Please also be clear, I know there are people who are MUCH worse off than I with all sorts of health issues – and I do think I’ve got a pretty good sense of perspective on this. But I’m not them and I blog about my life. I don’t doubt there are plenty others also blogging about this and I’m about to jump into the tag search and find you – save me some time and comment below! I recently found out I have the same thing. It’s so frustrating because I know it’s such a long road ahead, but I’m thrilled to finally have some answers about what was wrong with my body. Wishing you so much luck on this journey! Oh my goodness yes, having answers takes a weight off in itself. And adds a whole lot of questions that’s for sure! It is an adventure, learning the art of GF cooking and baking. My daughter was diagnosed with Celiac at 23. She was still at home. The internet was a great resource for us. Glad you are now on the way to feeling better! Thanks for the encouragement Patty. It’s totally an adventure. I’m finding food stores I’d driven by 100s of times and spending lots of hours exploring new food options. I think Google almost automatically types the words ‘gluten free’ as soon as I enter a ‘g’ on my ipad’ these days!